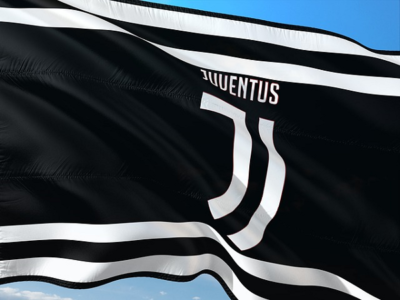 Juventus Football Club from Turin, Italy is ruling Italian soccer world for 8th season in a row. Juventus won Seria A seven times in a row from season 2011/2012 and is at the track to win also 8th title this season. How is it possible? What makes them so unique, that other Italian clubs are watching from behind for so long? We look at this club and pick up 7 reasons why is Juventus so good. The year 2006 was not very good for Juventus. The “Calciopoli” affair resulted in relegating Juventus to Seria B (second Italian league). Additionally, Juventus was also stripped off 2004/2005 and 2005/2006 league titles. “Calciopoli” scandal was uncovered by police and involved tens of Italian soccer managers and referees. According to the investigation, managers and referees rigged tens of soccer matches (Juventus games included). These dark events uncovered also another face of Juventus, the pleasant one. Alessandro Del Piero, Gianluigi Buffon, and Pavel Nedved stayed in the club and helped Juventus to return to Seria A (first Italian league) immediately after the following season. This unprecedented move by football stars set up new culture in Turin and put up foundations of a new era in Juventus history. Juventus F.C. majority is owned by Agnelli family. The same family which owns also Fiat Chrysler Auto. It does not surprise, that Fiat Auto Company was one of the successful survivors of the 2008 financial crisis. Fiat becomes even stronger and was able to merge with American automaker Chrysler. The strong owner nominates smart management and is able to help with sponsorship deals. It is not an accidence, that Juventus shirt bears Jeep logo. In November 2008, Juventus decided to build own stadium (called Juventus Stadium). It was the first Italian club with intention to build and own its stadium. Till that time all clubs including Juventus played on stadiums owned by cities. Juventus Stadium, currently Allianz stadium (thanks to long term endorsement deal) is a modern stadium for 41 500 spectators. One aspect of the soccer-only stadium is a comfort for fans and no athletic track anymore. The second aspect is the ability to generate substantial revenues thanks to ticket sales. Juventus is selling 29 300 season tickets every season and is able to increase tickets revenues yearly. It is no surprise that other Italian clubs are trying to replicate Juventus success in developing and owning the stadium. Juventus is the most popular (and of course most hated) club in Italy. Its fan base spread all over the country. Juventus is a global company with supporters everywhere Italian diaspora lives. It helps to sell out every match and increase revenues from ticket sales and merchandise on a yearly base. All four reasons stated above mean that financial results are very solid. The club is increasing revenues (from 300 million € to 500+ million € over the last 5 seasons – see Juventus financial statements) steadily. We mentioned ticket revenues and merchandising, but success generates also another revenue stream. Constant participation in later stages of UEFA Champions League brings substantial income too. Strong sponsors like Allianz and Jeep pay also hefty amounts to be connected to a popular and successful club. When you take Juventus contenders like Napoli, they are forced to sell if a good bid comes (e.g. from Juventus for Higuain three season ago). Juventus makes transfers just from a sporting point of view. The financial aspect is important but comes just as a second in consideration. Clever management does not make changes in a hurry. Juventus had just two coaches during their 7 seasons titles span. Antonie Conte won first three titles and then left to coach Italian national team. He was replaced with Massimiliano Allegri, who won another 4 titles for Juventus and is on way to another one this season. Will the Juventus dominance last? Reasons stated above give us a belief that Juventus will dominate Seria A for many years to come. Without no significant change in conditions, we do not see any serious contender able to replicate Juventus success in near future. There is just a one go left for Juventus itself. They are dominating Italy, but they want to conquer Europe. Champions League trophy is definitely the ultimate goal for coming seasons.